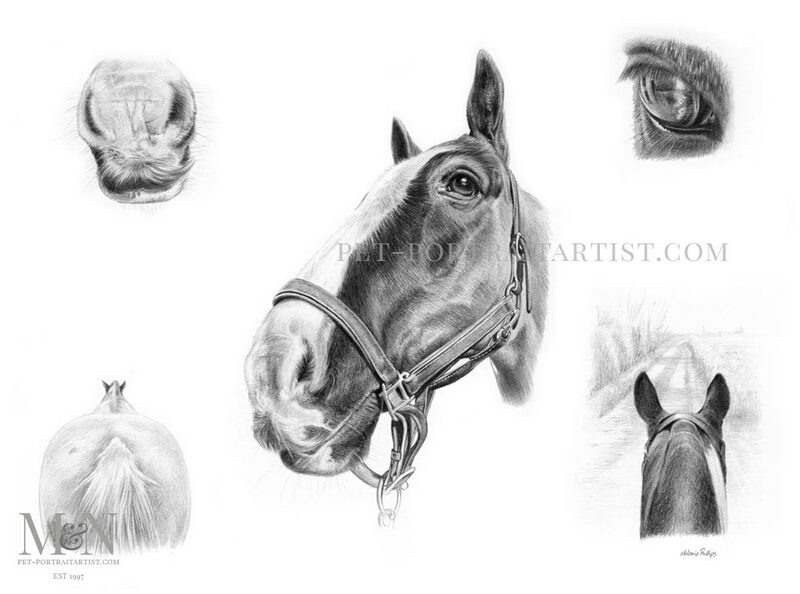 Welcome to Jasper’s pet portrait montage pencil drawing. 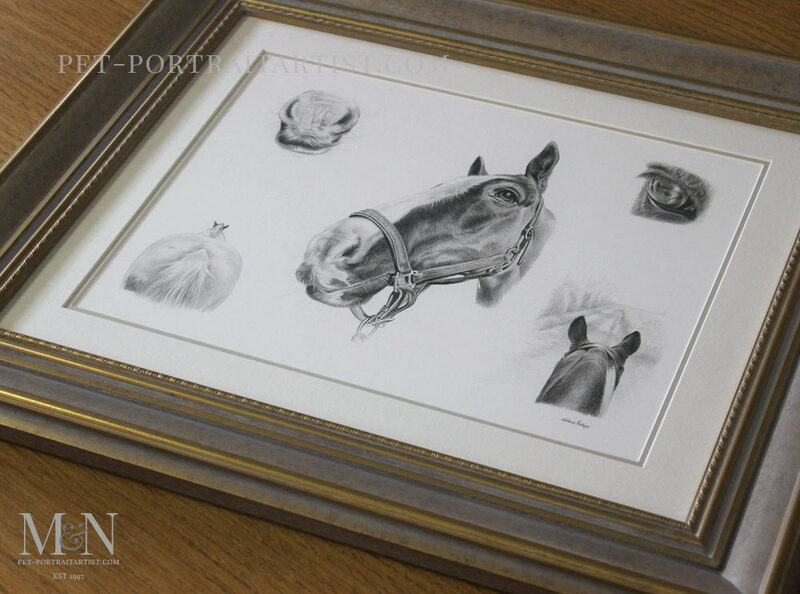 Richard contacted me enquiring about a montage pencil portrait of their horse called Jasper that they had to sadly have put to sleep that very same week. Their family were all deviated as Jasper had been with them for a very long time and was a much loved horse. Richard knew exactly what he wanted for the portrait – a montage drawing at 16 x 12 and he had the perfect photos for me to work with. 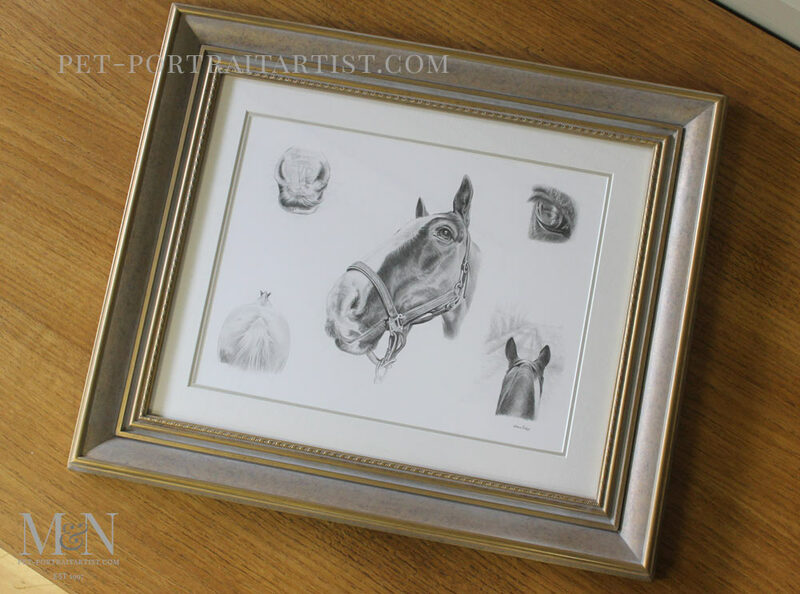 Richard also decided he wanted to present the drawing as a surprise for his wife on their anniversary. I thoroughly enjoyed drawing Jasper and Richard was thrilled when he saw the final scan. 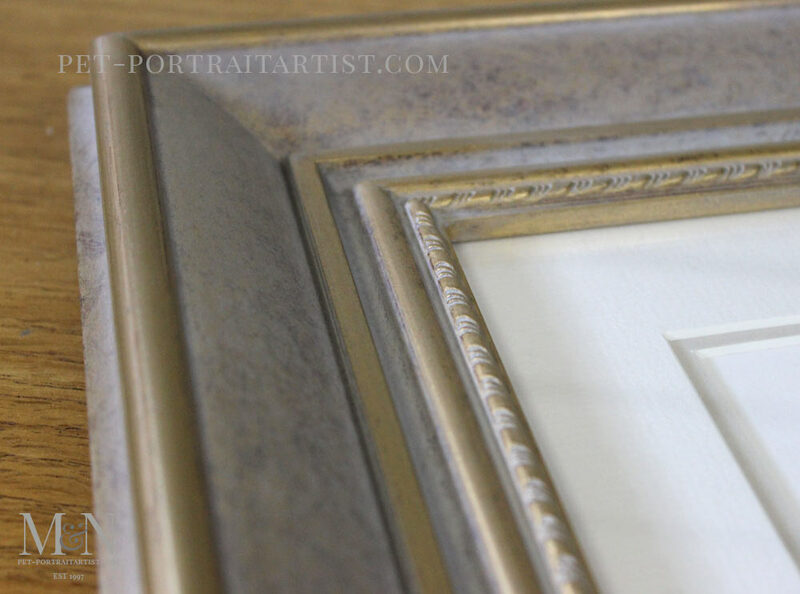 We also framed the portrait for Richard too which you can see below. What can I say but that’s is amazing I don’t know how you do it. Definitely no changes needed. I just know that laura will love it. 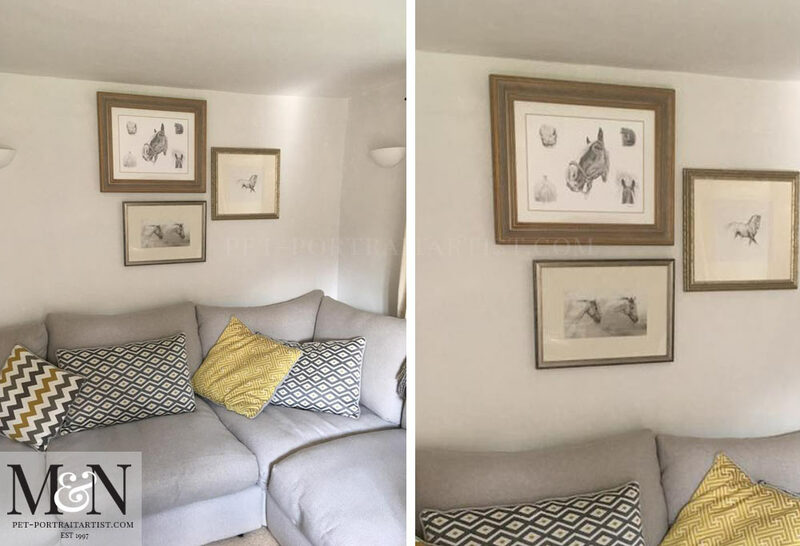 Laura emailed me a wonderful photo of Jaspers portrait displays don their living room wall and we are thrilled to be able to show it her eon our Art Studio Blog. Thank you so much Lara, I am delighted that you love the portrait!!! Rich surprised me with my portrait of Jasper today. It’s absolutely amazing!! I love it!! I had Jasper for over 15 years and knew every marking and hair like the back of my hand and you’ve captured them all perfectly, thank you so much. It’s wonderful! 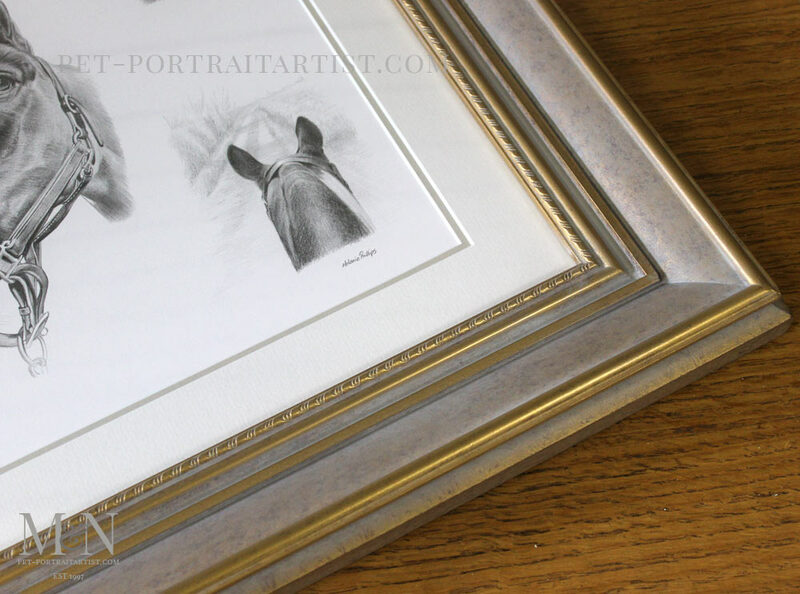 The photos of Jasper’s portrait framed and ready to send to Richard is below. 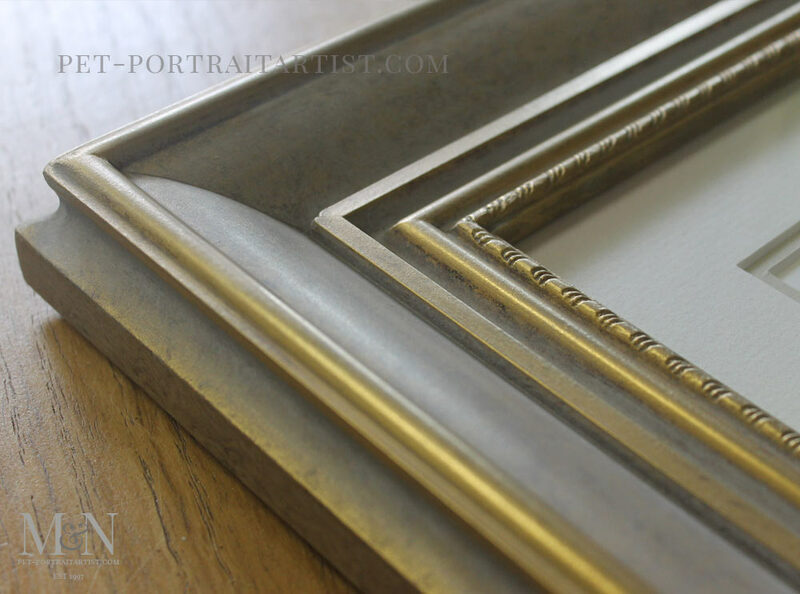 The frame works really well for this portrait and will be really eye-catching diploid in my clients home. 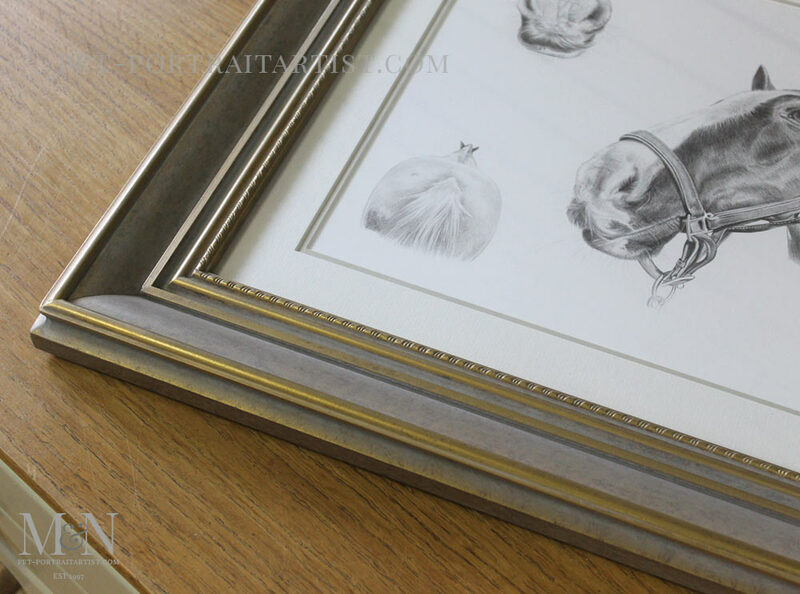 I have updated my framing gallery quite a bit lately and have such a lovely array of frames now, a fair few to choose from. 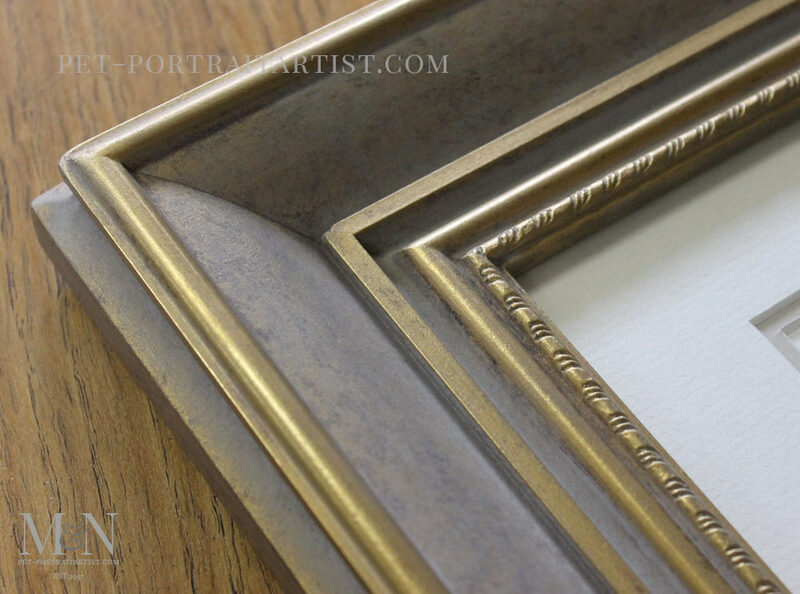 There are simply thousands of mouldings to choose from through between our framers and we can usually find something to suit all clients taste and style.